Thomas & Mercer, 9781612181936, 198pp. He saw in the rusted mirror the man he'd become, new scars and all. His wife killed, his family shattered, a man takes to the road, wandering lost and alone--except for the comfort of a kind of woman he can't deny. When a tryst in the shadow of Arizona's red rocks leads to murder, the man sets out to clear his name and corner the killer, unaware that a madman is on his trail--and the trail of his estranged daughter. 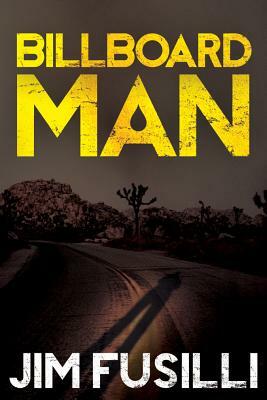 The second audiobook in the Sam series, Billboard Man follows Jim Fusilli's drifter antihero, who once again learns there's no place to hide on the long, dark road when so many people want him dead.